black-ish | Doc is Blog-tastic! 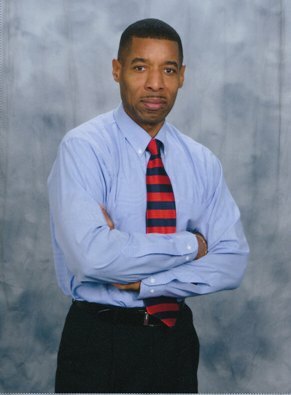 : #1 as the CEO of Me Inc.
There’s lots of talk these days about whose winning streak is the best. Whether it’s Tom Brady being in eight NFL conference championships in a row or Lebron James in eight straight NBA finals. Some think Brady has lost a step this season. Others feel James has a long way to go for another championship. For those looking at things through a different lens, then Marsai Martin and Michelle Obama might be the focus. Martin who’s one of the child actors on Black-ish is set to be the youngest executive producer of a feature film. She’s teaming-up with other more seasoned players in Hollywood on the project. Then of course there’s Obama’s Becoming book tour which might be on break now, but books are still selling. She’s maintained her own streak in the #1 spot as the best-selling book in 2018 since the 50 Shades of Grey release. The tour is gearing-up for a return in February with U.S. and international dates. Martin and Obama aren’t related but share similar points for putting your best foot forward. For Martin it’s been a few years since landing her role on Black-ish as she’s an inspiration to the young’uns. For Obama it’s been a few years since leaving the White House and she’s an inspiration to young and old. Martin and Obama might say they were nurtured by people who believed in them. That helped them develop from a seed to having a ‘tree’ mentality. When others believe in you and your work then there’s a good chance that your breakout will come. Like a seed becoming a tree, you’ll breakout in the right soil. They can point back to a time when things began to blossom. Like blossoms on a tree, it’s where a certain beauty starts to flourish before the fruit appears. Making 2019 a year of ‘Becoming’ is more than just having good ideas. It’s letting the ideas blossom into something that’s full of beauty, color and value. When asked whether she’d ever run for President, Obama is clear; NO! In a sense, that’s not how she sees her brand. Now that they’ve moved beyond their own blossom stage, they’re carving out a niche that sets their brand apart. Your brand helps to establish the fruit of your labor in the marketplace. Beyond the cooling effects of a good breeze is the laid-back feeling you get. It’s the ‘no problem mon’ attitude some project. Whether as a child star or player on the world stage, Martin and Obama bring a ‘cool factor’ to their work. Maybe it’s why they project to fans a kind of cool, relaxed, laid-back feeling. Tip: Going back in time to a ‘younger self’ has helped others leap forward in time to project their best self. Talkback: What would it mean for your current self to feel like 19 again? Did you catch that photobomb moment with fans of the Voice? A few friends were hanging out and taking pictures in the spinning chairs used by the judges. Then out of nowhere Jimmy Fallon and Miley Cyrus worked their way into the picture. It was one of those ‘star struck’ moments those fans weren’t expecting. This season the newest Voice judge is Jennifer Hudson. During blind auditions she’s busy building-up her team. Meanwhile Black-ish star Yara Shahidi is building on her dream. Hudson is doing a new thing and Shahidi is doing a new show called Grown-ish. These gigs are giving them fresh brand appeal for real. They’re also finding ways to up-tick their passion and up-level their game. Hudson is flexing her singing chops as she looks to mentor a new crop of emerging talent. Shahidi is off to college as a Harvard freshman. She wants to keep the acting thing going as she continues towards higher learning. It didn’t take Hudson long to learn the rules of the road and it won’t take Shahidi long either in her new role. For Hudson it’s in how she’s been able to unlock the flow and handle the nitty gritty of the show. In business and the work world that also means being able to make things stick, click or do the trick. Most of us have had to open a new tube of glue by removing the seal and unlocking the cap. Then you’ve got to press to get the glue flowing. Depending on what’s being glued you’ll also have to press the sides together. Whether it’s with doing finger nails or working career trails we’ve gotta press and then press on. In one sense Hudson’s story is one of having to press on to the mark of a higher calling. Even though she was cut before the finale during her time on American Idol she’s gone on to win Grammys and Tonys. She went through a painful period of losing her mother to violence and has gained a greater anointing. For Shahidi as a Black Girls Rock recipient, her college and career moves are more like pressing on to gain a higher standing. She’s ready to spread her wings and do even bigger things. She’ll have lots of material to work with as she begins doing the Grown-ish TV shoot and building on her career routes. Their road to a higher anointing or professional top-ranking reminds me of my own journey. There’ve been setbacks and disappointments. I sometimes liken my journey to the ‘Joseph’ story. As with Joseph I’ve learned to press on thru whatever comes my way and discover what my life’s purpose has to say. As Hudson brings her passion she’s gonna add more soul in how she rolls. We’ve seen it on Idol, Broadway and the pop concert stage. With Shahidi’s next move to raise her game it will bring new life experiences. She’s already shown her maturity and command for social issues to be well beyond her age. Tip: We get career awards and personal rewards in how we unlock the talent & passion flow to make things stick, click or do the trick. Talkback: How does it feel to see sistas like JHUD and Yara shine on the big stage? Folks are still talking about the first full weekend in 2017. Some Hollywood A-listers did it up from coast to coast. There was the big bash with the Obamas in D.C. and the big splash at the Golden Globes. In between it all, Ice Cube said he wants to start a pro league while Tracee Ellis Ross makes a confession. In her Globes speech she said for Black-ish “It is an honor to be on this show..and to show the magic and the beauty and the sameness of a story and stories that are outside of where the industry usually looks.” Cube & Ross have a new year’s gameplan ‘start now:’ take your swag out the bag and head out the sand. Ross was excited as a first-timer at the Golden Globes, first time nominated and attended. She won Best Actress in a Television Series Comedy. The last time that happened for a ‘sista’ was with Debbie Allen in 1983. So ‘last time’ doesn’t always mean last ever and ‘never before’ doesn’t always mean not possible. So Cube’s excited about a 3-on-3 pro basketball league. According to USA Today he said “I started to look at three-on-three basketball and wondered, ‘Why isn’t this played on a pro level?’” That’s how ideas start. Plus, when you look for oil under the sand you might strike gold or for gold below the rocks find oil. Folk still are a talking. First full weekend of ‘17 rocking. Hollywood A-listers did it up. From coast to coast non-stop. The Obamas D.C. big bash. Then the Golden Globes a big splash. In between Ice Cube made news. With idea he done fuse. For pro-league snack concessions. While Tracee Ellis makes confessions. In Globes speech she made clear. Award makes for a great year. Proud to be on Black-ish show. Where magic and cultural beauty flow. Sameness in a story told. Greatness in stories bold. Outside of where industry looks. For padding revenue books. A gameplan to go ‘start now.’ What it takes to bring your wow. Ross excited as first-timer. Among others she’s a Hot Stepper. First time to be nominated. Just as well as attended. Won Best Actress in TV Comedy nod. Under her breath it was like ‘Thank God.’ Last time Debbie Allen took the spot. Was when a sista had the lot. ‘Never before’ or ‘last time’ doesn’t mean a dot. So Cube’s forming anew. 3-on-3 pro league about due. Looked around and wondered why. Then started aiming for the sky. That’s how ideas get started. Then sweetened and biz-coated. When looking for oil under sand. It’s all a stroke of the hand. Looking for gold below the rocks. It’s how you up your stocks. Cube thinks it’s just normal stuff. Getting it going might be tough. Wants to make it happen then. Counting backwards from a ten. May be up-and-running by June. Hopes that’s not a bit too soon. So for 2017 Ross shares some heart. While Cube wants no more half-stepping start. To play your ‘Starboy, Stargirl’ part. Tip: A new year’s resolution is a reminder to bring your ‘Starboy, Stargirl’ potential to the big stage. Talkback: Who made the best fashion statement at the Golden Globes? Some folks have had enough of the Thanksgiving leftovers. Others have had enough of Kanye West. Fans are wondering if he’ll bounce back. Well Larry Wilmore did so as he’s back doing scripted shows with ABC. Lee Daniels is doing it too with a new TV show set to debut. Their 24K magic’s not done yet. According to USA Today, Wilmore said in a statement “Disney took a chance on me as a young writer years ago and so I’m thrilled to return to the Mouse House. I hope my room still looks the same.” Wilmore and Daniels give us a kind of ‘brandorama feeling’ that might make you wanna up your game next year. After an almost two year stint on Comedy Central, Wilmore got the boot. He’s best known as a writer and producer with show credits that include HBOs Insecure and ABCs Black-ish. The message from Wilmore and Daniels is in how they hustle their way, day after day until the next door opens and career goals pay. Daniels has a new TV series for the breakout star in us. It’s a case of going after those ‘someday dreams.’ There’s no guarantee in life like death and taxes. But Daniels knows about having a ‘someday attitude’ to keep pushing & believing. He’s even getting a star on the Hollywood Walk of Fame to prove it! Some folks have had enough. Thanksgiving leftover gettin’ kinda touch. Others hope Kanye goes away. He’s taking fans for play. Wondering if he’s over and done. Or just the childish fun. Wilmore doing shows again for ABC. Daniels doing big again in TV. That’s why their 24K magic doesn’t come for free. According to USA Today note. Wilmore’s back in his trench coat. Saying Disney once took a chance on him. A young writer years ago on a whim. Thrilled for return to Mouse House set. Hopes room still looks the same, bet. They give us a kinda ‘brandorama feeling.’ For upping our game next year to the ceiling. After an almost two year run. Comedy Central told him show was done. Best known as writer and producer. Show credits on Insecure and Black-ish palooza. Showing us how they hustle their way. From sun-up to sundown day after day. Until next door opens and career goals pay. Daniels with new TV series on deck. For the breakout star in us, heck. Case of going after ‘someday dreams.’ A staple for winning teams. No guarantee like death & taxes. But a someday attitude is what he waxes. To keep pushing for more, believing the same. Even getting a star on Hollywood Walk of Fame. Tip: Taking on the next project or moving the dream farther makes you an up-and-comer or a go-getter. Talkback: What’s it been like on the night shift since Wilmore left Comedy Central? It’s that time where people get to celebrate and elevate. A lot’s going on from the recording studio to the basketball court to the college halls. Taylor Swift is selling-out records. Stephen Curry is turning-out shots. 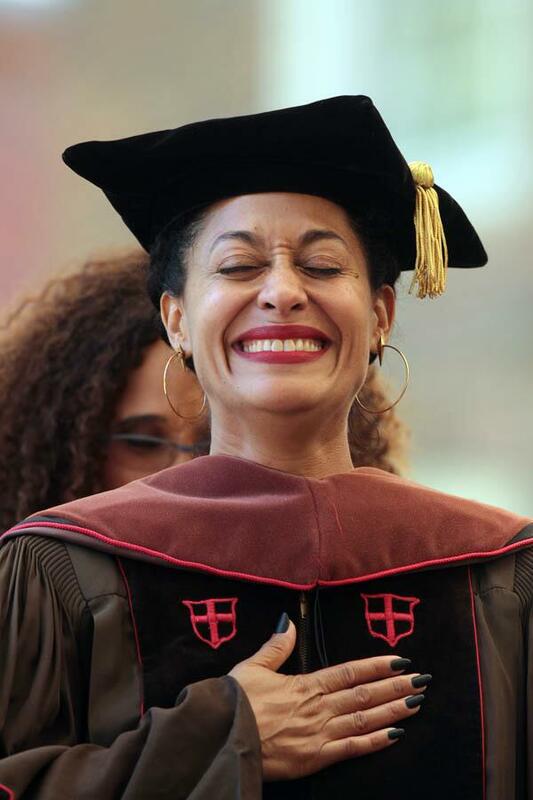 And Tracee Ellis Ross gets an honorary degree. It’s all good for brains, beauty, ballers and beats. That’s true for Ross, the co-star of Black-ish on ABC. It might even carryover to others whose greatness is tied to the fact that they got goals. Just ask the Golden State Warriors and Cleveland Cavaliers who’re expected to meet in the NBA finals. Their sheer will and determination is nothing to hate but appreciate. Taylor Swift from her recent Billboard Awards coronation is one of the hottest music artists right now. Stephen Curry’s got a champion’s heart after being named regular season MVP. For Ross, her honorary promotion to Ph.D. long after her own graduation is one that now allows her to be called Dr. Ross! Time for winners to celebrate. As rising stars get to elevate. Lot’s going on from the recording studio. College halls and b-ball courts in the barrio. Taylor Swift albums got the hots. Stephen Curry making impossible shots. Tracee Ellis Ross with honorary degree feat. Good for brains, beauty, ballers and beat. Ross ecstatic about recent honor. Given by Brown University her alma mater. Among six other alums who’ve ‘got game.’ In their own fields they’ve made a name. Honorary doctorate not at all about race. But for strong sense of self, talent and grace. Passion for putting imagination in its right place. True for Ross, co-star of ABC’s Black-ish. And those masters of their own fetish. Might carryover to greatness on display. Tied to goals that will expire in May. Ask the Warriors or Cavaliers as expected rivals. Since they’re about to reach the NBA finals. Sheer will and determination simply crucial. Curry returned to court in game four. Hoping to even the score. James stayed on court in game 3. Battling fatigue, leg cramps and making a plea. For Curry and others with next level dreams. It means playing ball like past championship teams. Where their ‘A-game’ meets their ‘B-side.’ And fans get to enjoy the ride. Swift gets latest Billboard’s coronation. One of the hottest in music compilation. Stephen Curry can relate to music’s pop. As NBA regular season MVP he’s on top. So Ross gets promotion to Ph.D. rank. Nothing to do with sales in the bank. Now called Dr. Ross in some circles. Long after her graduation chronicles. Tip: When ‘A-game’ meets ‘B-side’ it lets you close your eyes and enjoy the ride.